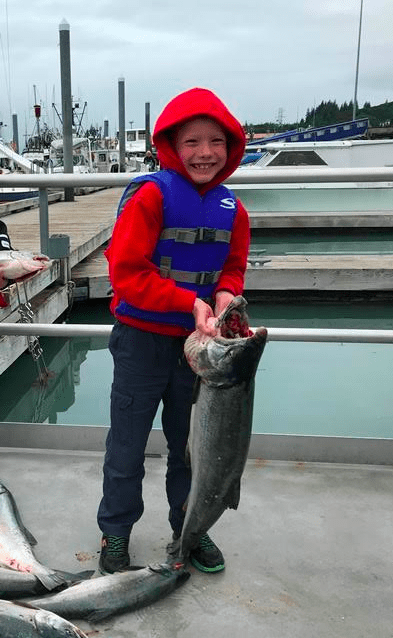 VALDEZ, Alaska – Just one day after catching a 17.28 pound silver salmon in Valdez, Aksel Hutchinson was thinking about what he would do with $10,000. Hutchinson knew the 1st place prize was $10,000 and he had big plans if he stayed in the lead. He said he would buy a fishing reel, tickets to Texas and California as well as a hunting scope. This past Sunday, Hutchinson’s dream of winning came true when the derby ended and his fish remained #1 on the leaderboard. In an interview this Monday, Aksel had revised his plans for the money to include buying a motorhome, a laser sight dart gun, ATV and possibly a kayak. Whether his money holds out to do all those things is yet to be determined, but it is pretty much a guarantee that Hutchinson is going to keep on fishing. When he talks about fishing he lights up and becomes very animated. “It’s just getting away from all the excitement and loudness and everything. That’s what fishing is all about” Hutchinson said. Daniel Schneider of Anchorage took 2nd place in the Valdez Silver Salmon Derby with the 16.64 pound silver salmon he caught August 4th aboard the Sea Duck. Schneider’s 2nd place finish netted him $3,000. Leslie West of Provo, Utah reeled in a 16.48 pound silver salmon on August 11th to win the Women’s Silver Salmon Derby and held onto 3rd place. West’s 3rd place finish earned her a $1,500 cash prize. The final Big Prize Friday was won by Brett Adair of Rosehill, Kansas who reeled in a 14.32 pound silver salmon on August 31st from shore. 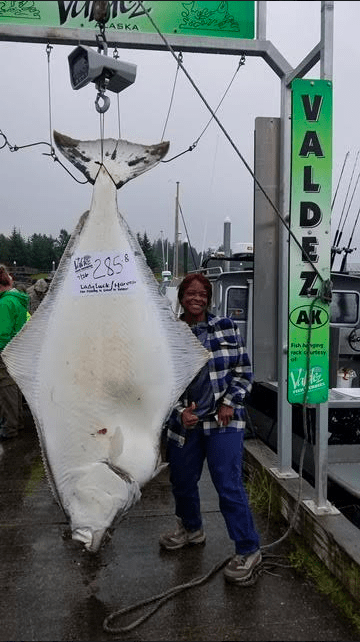 Patricia Johnson had never been halibut fishing before coming to Valdez but even after winning the $10,000 1st place prize in the Valdez Halibut Derby she knew she was coming back. “I’m going to be an angler now”, said Johnson. “This was totally exciting. I will be back here to fish”. 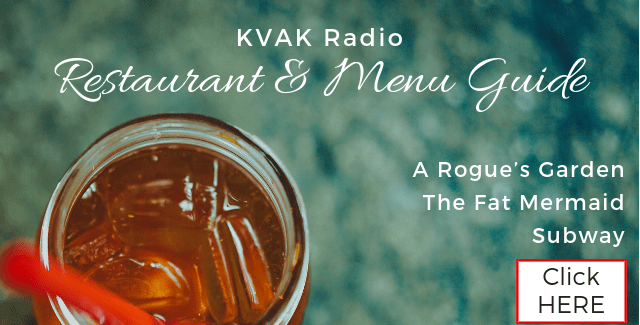 Patricia Johnson’s winning Halibut was caught aboard the Harvester and the Captain of that boat, Buddy Scott of Fairbanks, won the $500 Captains prize and also the ticket seller’s prize of $500. In the Silver Salmon Derby, it was Dave Towne that won the Captains Prize. The seller of the winning Silver Salmon Derby ticket was Greg Kern of Fish Central. He won a $500 ticket sellers prize. In the Valdez Fish Derbies, everyone who purchases a daily ticket is entered to win $5,000 cash at the end of the season. Those purchasing season tickets have five entries in the $5,000 drawing. At the end of the season, all the entries are put into a barrel and a winning ticket is chosen. This year Kylie Bouchet of Wasilla was the winner. Next year’s dates, as well as pictures and information about the 2017 winners, can be found atwww.valdezfishderbies.com.